"Your robot puppy is so sweet," says Skipper. "Can I play your game?" 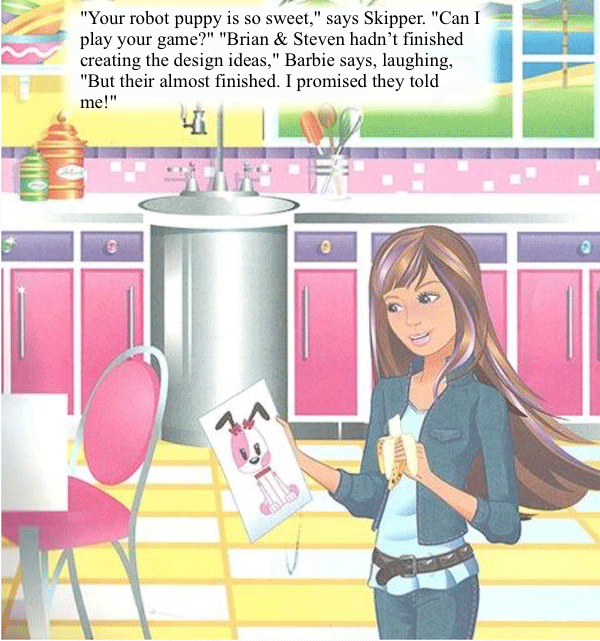 "Brian & Steven hadn’t finished creating the design ideas," Barbie says, laughing, "But their almost finished. I promised they told me!"